At 19, ‘The General’s Daughter’ star has already invested in a home property that she and her family can finally call their own. at 19, finally afforded a new home for herself and her family a few months ago. 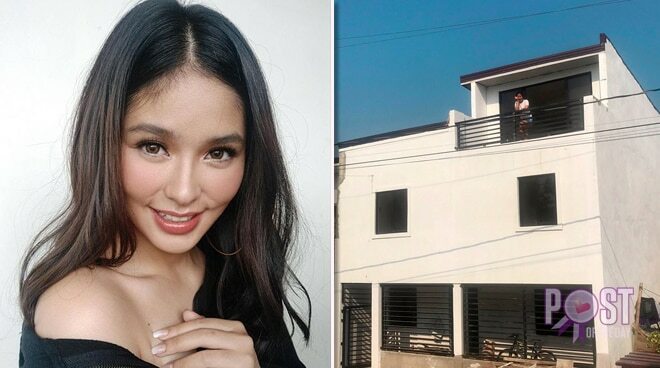 On Monday, The General’s Daughter star showed off the reward for her hard work via a snapshot of the nearly-finished construction of their new property on Twitter. Trabaho pa loisa, para matapos na! “Trabaho pa, Loisa, para matapos na! After 20yrs na nakikitira lang kami, natupad din yung pangarap ko magkaroon kami sariling bahay, yung matatawag namin na bahay talaga namin. Maraming salamat sa pagmamahal at supprta niyo isa kayo sa dahilan nito, at shempre Lord, thank you!,” she said. Simultaneous with her television series, Loisa is currently gearing up for her forthcoming film James And Pat and Dave — in which she stars with her beau Ronnie Alonte and Donnie Pangilinan — following her blockbuster flick Fantastica in the 2018 Metro Manila Film Festival (MMFF) only last December.